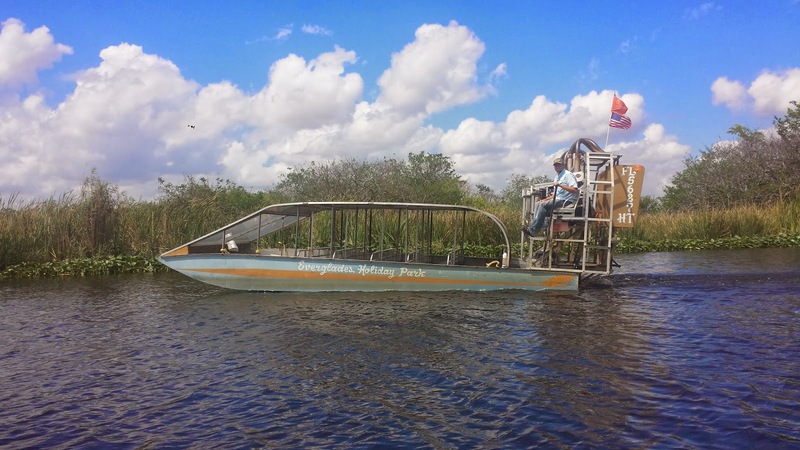 Everglades Holiday Park Review by Krystal Deblasio | Everglades Holiday Park Home of the Gator Boys Review! 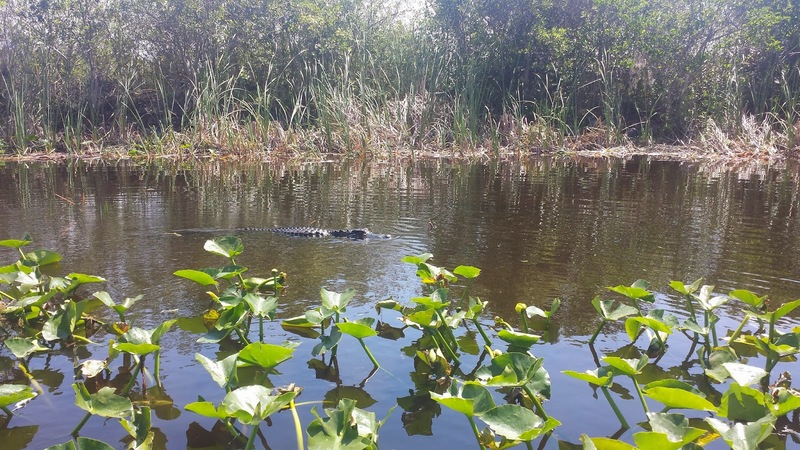 As soon as I found out about Everglades Holiday Park, I couldn't wait to go. 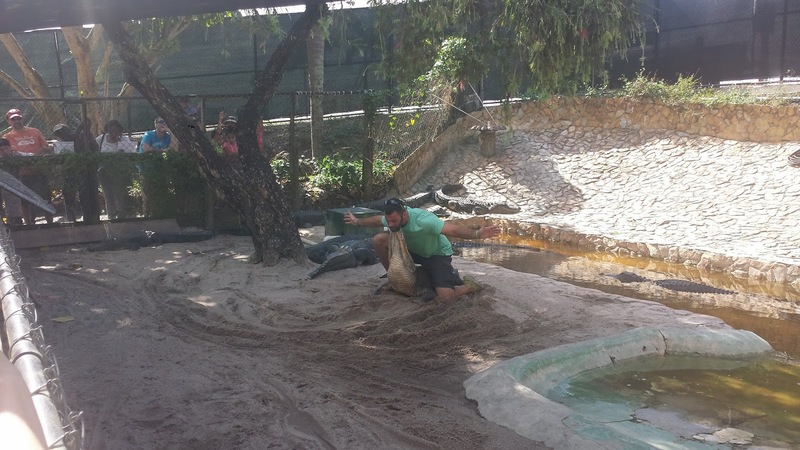 I used to watch the show Gator Boys on Animal Planet all the time, and Everglades Holiday Park is where their alligator rescue is located and is also where they shoot most of their shows. When you visit there is a good chance you might see the Gator Boys filming or you might get to meet one of the stars of the show. Me and my boyfriend ended up going there yesterday around 1pm. When we first arrived the scenery was very pretty, there were peacocks hanging around the entrance. We went into the gift shop to the ticket counter to get are tickets. The line was all the way to the door. It seems like the park is always very busy. After we got our tickets, we went outside and waited in another line to go on an air boat. They took our picture in front of the air boat, which was available to purchase after the boat ride. I had never been on an air boat before. I was expecting it to be fast, but it actually wasn't fast at all. Most of the time we would go slowly to look at scenery and then we would speed up a little. Rather than an exciting ride, it ended up being a very relaxing experience. We stopped to look at some birds. The birds were very friendly, they flew right up to the boat. The captain even gave some of the passengers bread to feed the birds, and they came up and took the bread right out of their hands. We eventually ran into a few alligators. The gators surprisingly didn't seem to be afraid of the boat at all. They actually swam toward us, and were in petting distance from the boat (although I wouldn't attempt that!). I read some reviews saying that the employees were constantly begging for tips, but that couldn't be any further from the truth. The captain of the boat only mentioned very briefly at the end of the boat ride that tips were appreciated and that they work off of tips. After the boat ride, it was time to wait in another line for the gator show. The gator show was hosted by Mike. I haven't seen the tv show Gator Boys in awhile, but apparently Mike does appear on the tv show sometimes. The gator show was rather quick, but entertaining. He did a few tricks with the gator, the one in the picture above is called the Face Off. After the show ended they brought out a little alligator and they let people take pictures holding him for a $5 donation. 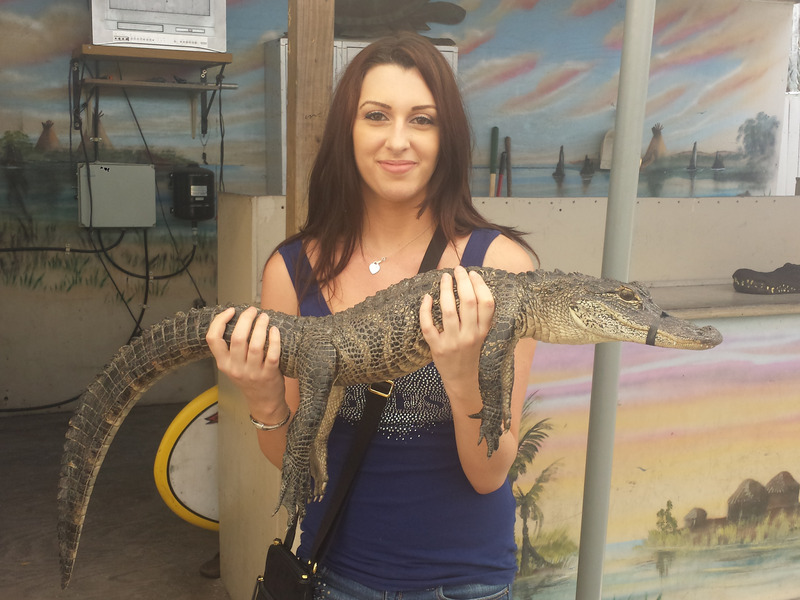 I was going to donate anyway, so I decided what the heck, and I held the baby gator. This little guy was so cute. He definitely felt different that I would have imagined. Very squishy! 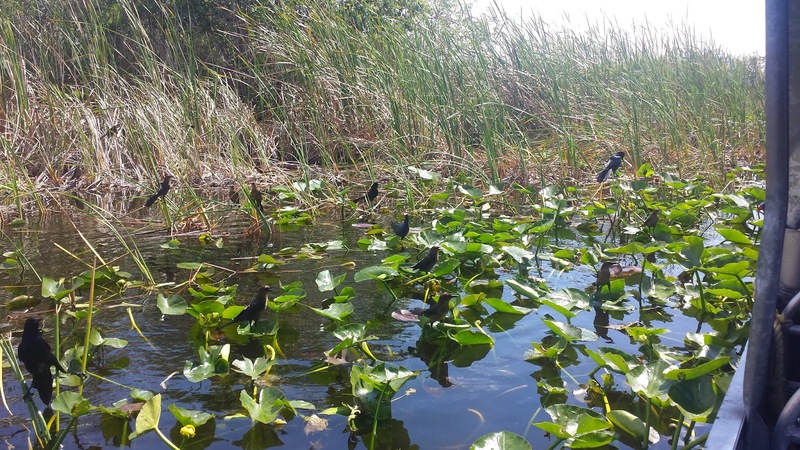 Overall, I think Everglades Holiday Park was a great way to spend a sunny afternoon. If you are visiting or new to the area, I definitely recommend going here at least once. 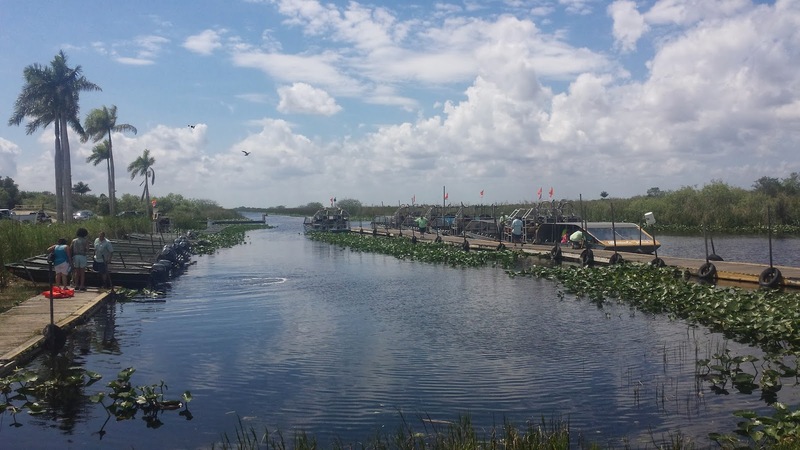 If you are a fan of the show Gator Boys, then this is definitely something you should put on your to-do list.